Ideas, Ideas, Ideas. 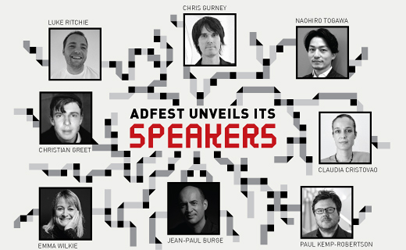 AdFest 2017 announcers the speaker line-up. It may be too late to enter work for AdFest 2017, but it isn’t too late to sign up as a delegate and enjoy presentations from the world’s creative gurus.